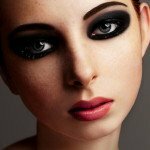 Beauty – In the Eye of the Beholder? 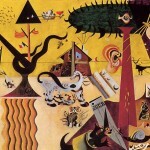 The Surrealistic Art of Transcendence: Why Does Abstract Art Comfort Us? People tend to think of their taste in art as being basically static; if one is a strict devotee of realism, one is not likely to wake up one day and find one’s self enamoured of the bright swirls of a Kandinsky painting, for example, or the nonsensical landscapes of Dali. 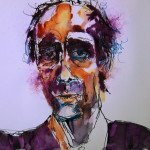 This is, however, as erroneous as the common belief that our basic personality traits are inherent and immutable; emerging research shows that we can, in fact, profoundly change our minds where art is concerned—but it usually takes some trying circumstances to bring about this alteration. According to recent studies, we are more likely to relate to surrealistic art if we have recently been forced to confront our mortality. 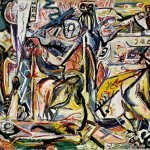 While the idea of finding comfort in art (and the feelings of transcendence it provides) in the presence of existential threats is nothing new—sacred artworks have been crafted since the dawn of civilization to provoke such sensations—this new research is demonstrating that the same benefits may be garnered from purely secular works as well. Surrealistic art in particular appears to be highly effective for this purpose. A group of researchers led by psychologist Verena Graupmann of DePaul University, which has extensively investigated the aforementioned phenomenon, explains that the unsettling nature of such works is, strangely, what creates the comforting feeling of transcendence. Through gazing upon such works, people may move their thinking away from long-held fears and limitations, and create in place of these fears a more far-reaching sense of meaning. This process results in the viewer entering a dream-like state not dissimilar to their unconscious stream of thoughts; it is the entry into this state which results in the sensation of meaning. The DePaul University team is far from being alone in their findings; in the European Journal of Social Psychology, Graupmann and her colleagues provided recounts of two experiments that confirmed the impact of surrealistic art on those seeking meaning. One experiment featured 87 undergraduates at a major German university; half were instructed to describe their feelings as they contemplated their own deaths, and also to write down what they believed would happen to them during the process of dying. The other half were asked similar questions, but about entirely different subject matter (dental pain). Many of us guard ourselves against the world on a day to day basis without even realizing it; in order to cope with stress, we tense our muscles, put our emotions on hold, and grit our teeth as we power through the day. Many people are lauded for having such thick “armour”and the ability to cope that comes with it, and thus validated, they never take full stock of the consequences of emotionally shutting off in this way. When we so completely disengage from our emotions, however, we also lose the ability to lose ourselves in feelings of love, gratitude, and joy. Inevitably, this harms our interactions with those closest to us, and does nothing to nurture our deeper selves. The above described denial of our emotions usually arises from the fact that it hurts to feel and, believing we are alone (or likely to be judged harshly by others) and being unable to deal with that pain, we begin to reflexively avoid feeling. While at first this may seem to make things easier, in the end it winds up costing us a great deal of energy; controlling a growing collection of ignored hurts is an endeavour that only becomes more draining as time goes on. Inevitably, these repressed feelings begin to seep out in the form of nameless anger, sadness, anxiety, and fear—and by the time things get to this stage, we cannot pinpoint why we feel those things, as we long since divorced ourselves from the instigating stressors and hurts. Likewise, it’s simply part of the human condition to struggle with verbalizing emotions; our emotional patterning is, after all, set in place before we have words (between birth and the age of seven, usually). This makes it even more imperative that we not repress our emotions, as being fully “present”for them as they happen is key to healthily processing them and later being able to heal. Many of us are familiar with Edvard Munch’s famous painting “The Scream”, but few know the details of the artist’s life and the inspiration for this evocative piece of art. The link between genius and madness which Munch experienced is certainly not unique to the artist; through history, many great creative minds have experienced a similar relationship between talent and torment. Vincent van Gogh is particularly well known for his madness, owing to the fact that he cut off his ear after an argument with his friend Paul Gauguin, and later ended his own life. Van Gogh’s illness, well-known as it is, has played a strong role in furthering the widespread perception that madness and genius are intrinsically entwined, and that artists are especially prone to a range of mental illnesses, such as bipolar disorder and schizophrenia, which drive the intense emotions and otherworldly visions expressed in many great works of art. But correlation, or course, does not guarantee causation, so psychologists stepped in to research the matter in greater depth. Is there indeed a link between madness and genius? It turns out this popular assumption may in fact have some merit. We all love that feeling of accomplishment we get when we complete a project, overcome a challenge, or create something beautiful—but it’s not always easy to come by. When we’re feeling tired, demotivated, or depressed, it’s much more difficult to engage in the “work” part of the work and reward cycle our brains need to thrive. 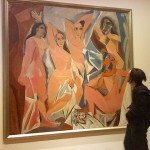 Knowing how to stimulate feelings of reward and pleasure during such low periods is key to emerging from them as quickly as possible, and thanks to a new study by researchers at the Emory University School of Medicine, we now know there’s an easy way to accomplish this: Simply look at art. The Emory study, which included four male volunteers and four females (all in their mid-twenties) revealed that there is something special about viewing art; it more strongly activates the brain’s “reward system” than other forms of pleasurable visual stimulation. When the researchers analyzed (via imaging technology) the brain activity of the study participants while viewing the works of Monet, Van Gogh, Picasso, and others, vs. while viewing photographs of similar subjects, they found that the brain’s ventral striatum (a part of the reward system) was more active while viewing the works of art. According to senior author Krish Sathian, M.D., Ph.D., professor of neurology, rehabilitation medicine, and psychology, this part of the brain is already well-known for its involvement in obviously reward-seeking behaviours (such as addiction and gambling), working in conjunction with the orbitofrontal cortex to create what is known as the “reward circuit”. Interestingly, this area of the brain is also active during times of uncertainty; it plays a role in the decisions we make while under financial stress, for instance. 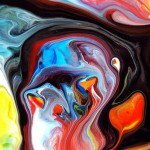 This study, which was supported by the State of Georgia, the National Institutes of Health, and the Veterans Administration, represents a departure from the usual research into how our brains appreciate art, which has typically been carried out from an aesthetic angle (i.e., figuring out how our brain reacts to art it deems “ugly” as compared to art it deems “attractive”). Such studies usually asked participants to assess art by rating its beauty on a scale of one to ten, and revealed that aesthetic preference is largely the result of activity in the amygdala, which is involved in emotional reactions, and parts of the orbitofrontal cortex. Art – a Creative Process or a Therapeutic Tool? The field of psychology covers a broad spectrum of human interactions. When applied to mental health there are many preconceived ideas of the role of psychology. For many the place of psychology is limited to testing and psychotherapy. It may be surprising to learn that there is a field of human experience where psychology plays an important role. That field is beauty and all things associated with it. Which brings us to the topic at hand: using art as a therapy. Most have no problem understanding the common definition of therapy. Add to the term therapy the word art and the result is a final term: art therapy. Suddenly, for some the meaning may become a bit less clear. Among psychology professionals and lay persons the concept of art therapy is often misunderstood. In fact, there are some settings where art therapy is given a secondary role of being an activity, a way of filling time and is is usually run by therapy aides. According to Wikipedia’s definition of art therapy: “Art therapy is a mental health profession that uses the creative process of art”. 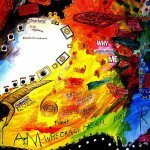 As a professional extension of mental health services art therapy is a relatively new with its modern day introduction occurring in English speaking and European countries in the mid-20th century. Among its critics are mostly traditional psychotherapists who view the only valid use of psychotherapy to be a talk therapy session. The idea of beauty having a psychological value seems irrational to many. Ironically, the very foundation of art therapy is Freud’s theory of unconscious and it is built on assertion that visual images are the simplest and most natural form of human expression and experience. There are many other mental health professionals who have grasped the psycho-therapeutic value of art therapy. Those values include the use of art, as either something the client does or appreciates; meeting certain psychological needs. Among the areas of life that may improve through the use of art therapy self-expression, coping skills, managing stress, and strengthening a sense of self. There is no doubt that in this world, attractive people enjoy certain privileges, and not merely in the area of dating and relationships; frequently they are chosen for promotions over their less-attractive peers, favoured by teachers, deemed more trustworthy, and attractive infants are even said to be favoured by their mothers. While what is deemed attractive is somewhat subjective, and differs somewhat in different regions of the world (though there is much more agreement on what makes an attractive person, it turns out, than disagreement), it usually comes down to a combination of factors, including the way you dress, carry yourself, your apparent social status, size, shape, and race. However, there is invariably one feature which stands out above all the rest in this process of determination—the face. Our brains are fine-tuned to immediately be able to tell a beautiful face from one only a mother could love, and this seems to be an ability we are simply born with (infants as young as six months old prefer to look at the same attractive faces adults do). This reaction is so inherent and immediate it is said to take place before you are even consciously aware you have seen a face; a recent study which showed people faces for only 13 milliseconds found that the participants were able to assess the faces’ attractiveness with the same accuracy as the experimenters themselves, who looked at the faces far longer. The people engaged in the study were not consciously aware of any deduction process they had gone through, feeling like they were merely guessing at the attractiveness of each fleeting face. This hard-wired knowledge is not mere superficial preference, however; the features our minds have learned to recognize as “beautiful” are preferred by the brain because of what they indicate about a person’s physiology and even character. So, without further ado, what makes us beautiful? This article was inspired by recent comments from Dr. Tali Shenfield, who advocates the use of art in psychological testing and therapy, especially for young children. Regardless of the reasons given, art when used as a psychological assessment tool can become a slippery slope. Why? Because art in and of itself is considered to be a form of aesthetics representing human creativity. This function is entirely different from those functions associated with psychological studies, i.e., the study of thought and intent. This common view holds that a particular work of art, whether done by the hand of an adult or a child, is a form of communications between the artist and the viewer. This is true regardless of age or gender. Whether the work of a young child (5 – 11 years of age) or an adult when creating art there is something being communicated. This has raised a question; is art a valid area for psychological inquiry? We will take a stab at trying to answer this question in this article. When writing here about art we are not referring to the works of the masters. Rather, our reference point is those drawings flowing from our own mind. 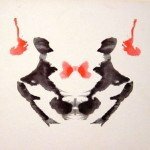 Even more specifically, we will explore the use of two psychological testing methods, the Rorschach test and Projective Drawings.